Applications are now open for our next show on Thursday, June 27th in San Francisco! 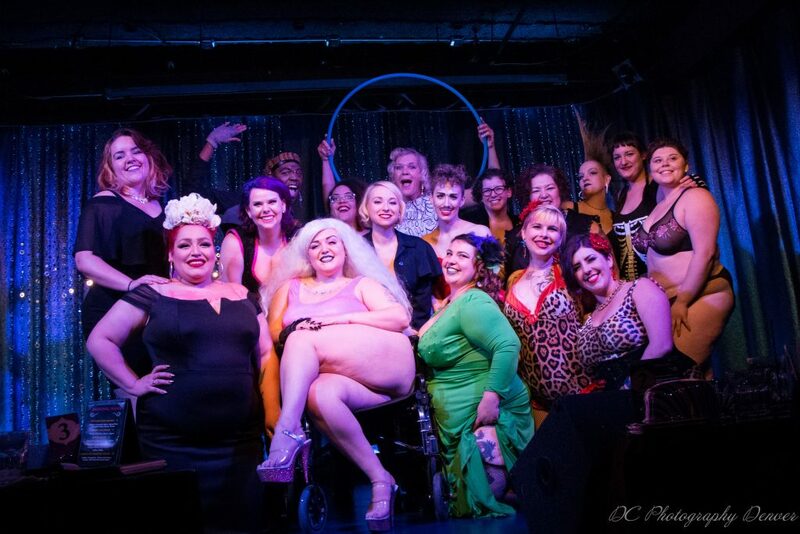 We’re looking for any and all moods of acts: serious, funny, classic, poignant, etc… and all types of performance: burlesque, drag, circus, musical, comedy, poetry, etc. I can’t begin to tell how much this show means and the stories each of these artists will bring to the stage will be absolutely heart-wrenching, powerful and inspiring. We will not submit to the mainstream beauty myths, marginalizations, bullying. We actively break down these societal imposed barriers as we remove our clothing and reveal the landscape of our bodies which have become political battlegrounds. We resist. We refuse. We reclaim. Oh my girdle! That show was hands down the BEST and most movingly resonant burlesque show I have ever seen. Every piece had me tearing up over the power and vulnerability expressed in each. If I hadn’t already been standing the whole night, I would have given everyone a standing ovation. Y’all truly inspired me with your intersectional feminism, poise, artistry, beauty, talent, humor, and originality. One of the most inspiring, powerful, and meaningful nights of my life thus far. Words will never fully express what I felt that night. The vulnerability creating this piece forced me to leap into and the empowered feeling it left me with as I walked off that stage I will hold with me always. One of the most unforgettable nights for me. Everyone was really, well, just, no words… no words can express how much love, admiration, and feels I have for every single performer/act. Thank you from my heart for reminding me why we do this.. why when I want to quit I can’t because it is worth it and other performers and friendships forged I am so grateful for. 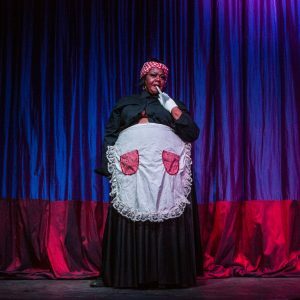 The Body Political was zesty and a great way of starting conversations on important social issues in a very creative and entertaining way. Each performer had their own style and important dialogue to convey through a variety of emotions. Each act was empowering and thought provoking. The next Body Political will be on Saturday, June 30th at the Exit Theatre in San Francisco. We are a 501(c)3 non-profit! Becoming a non-profit gives us access to more resources so that we can connect with performance communities across the country, teach workshops about how to create powerful and meaningful performance art, and make the show sliding scale and thus more accessible to more audiences. Make a tax-deductible donation today to sustain our work!